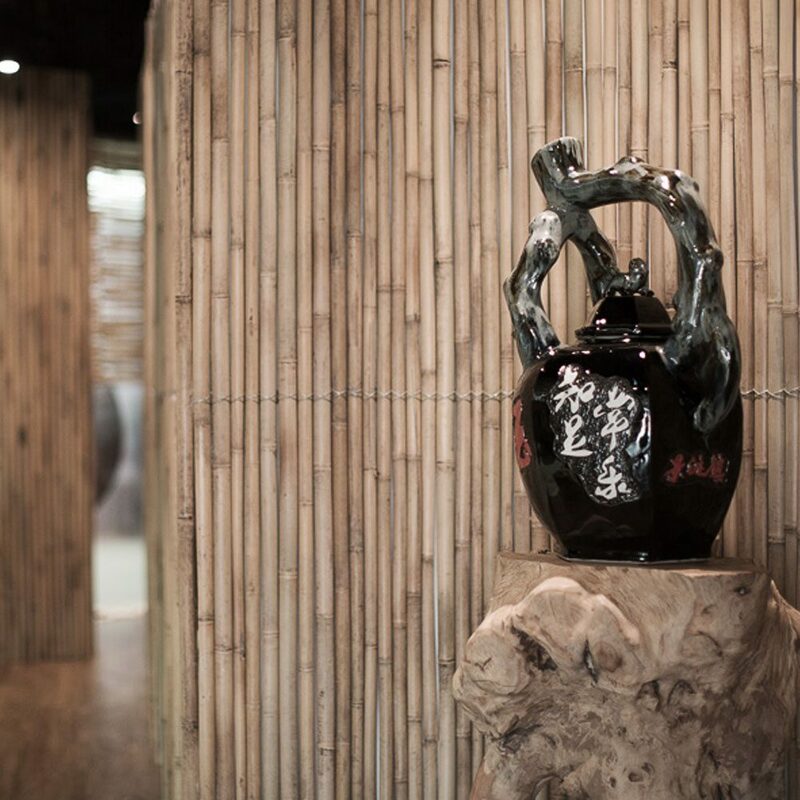 “The growth of wild bamboo forms three miles route around the river.” This is a poem quote from Li Deyu, a famous poet from Tang Dynasty, which describes the growth of wild mountain bamboo and expresses the importance of finding inner peace and relaxation. 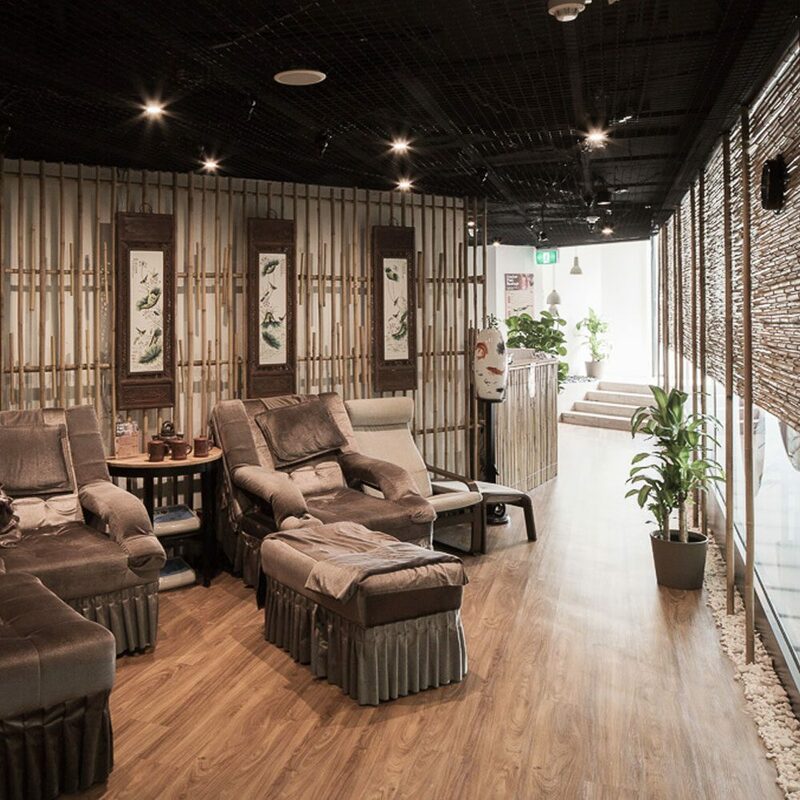 It is also the inspiration of the bamboo themed design for Comfee Foot Massage. 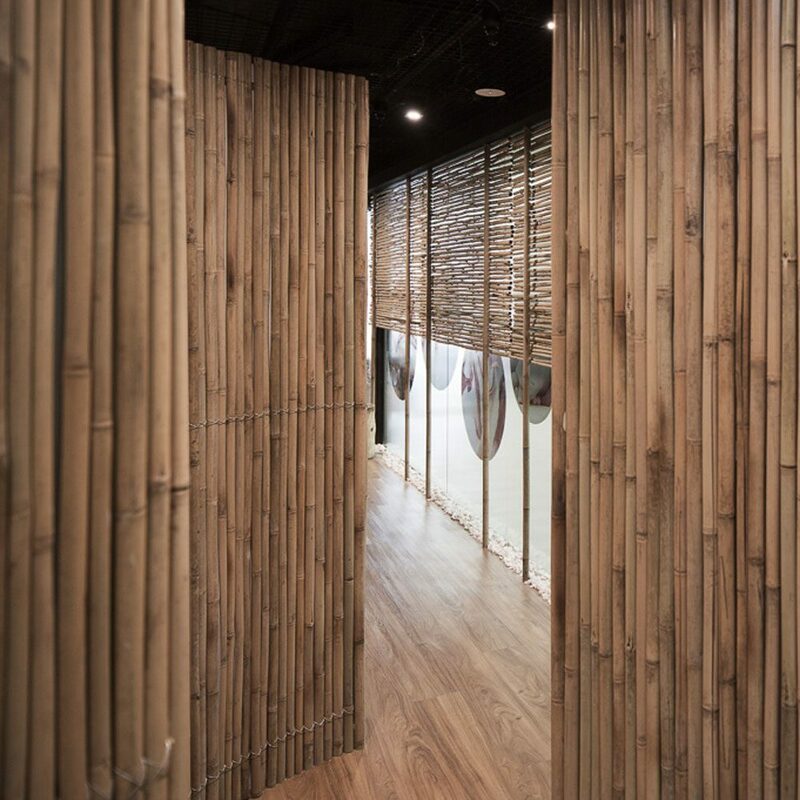 The site is irregular, long and narrow; therefore, a bamboo house is borrowed from the poem and constructed to resemble the stealing leisure time from busy modern urban lifestyle and create a meditation space for relaxation. 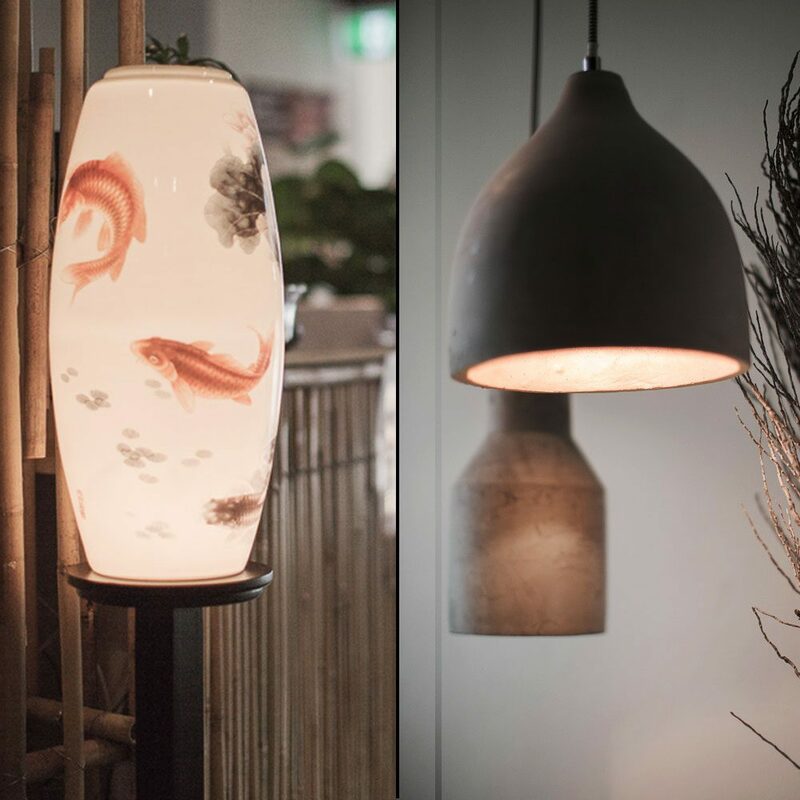 To re-arrange the space, the light is dim; the sound of bird and wind are natural and ease; the air is infused with aroma; the smell is relaxing and fresh; the space is divided and united, a peaceful and tranquil feeling grows more and much stronger. 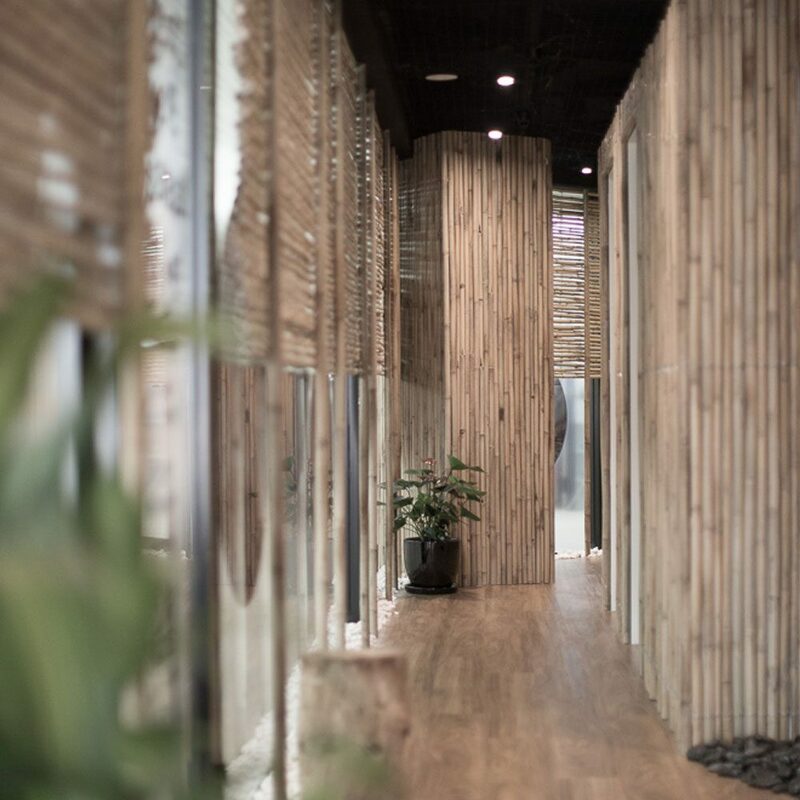 The construction of bamboo is a successful trial of relaxation, the re-arrangement of space order is a method of landscaping. 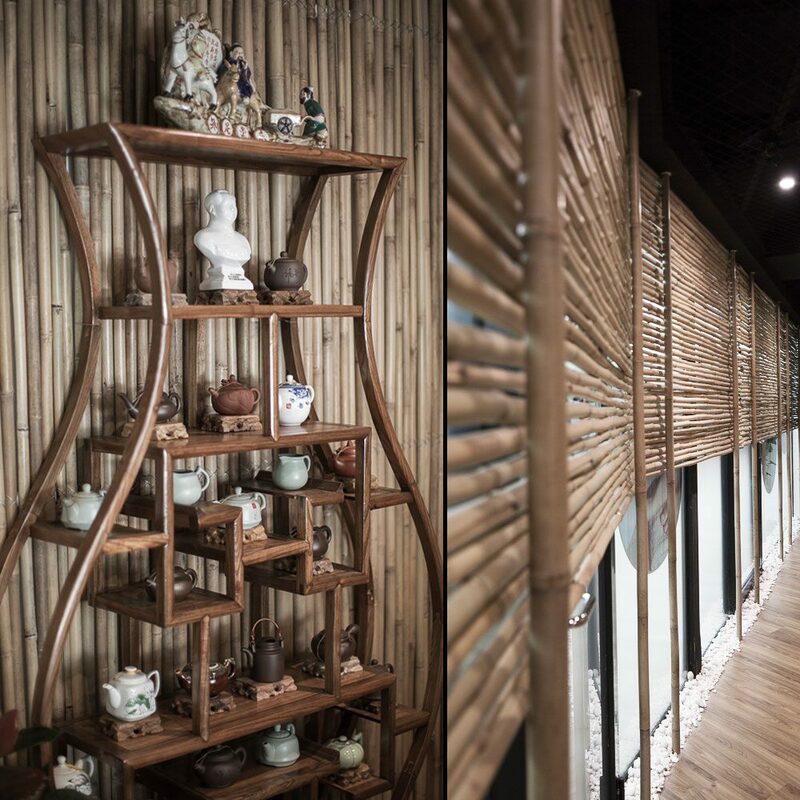 The wandering corridor, the vertical lines connect the two exits, and the cross lines of bamboo wall boxes private areas in for tea and waiting. 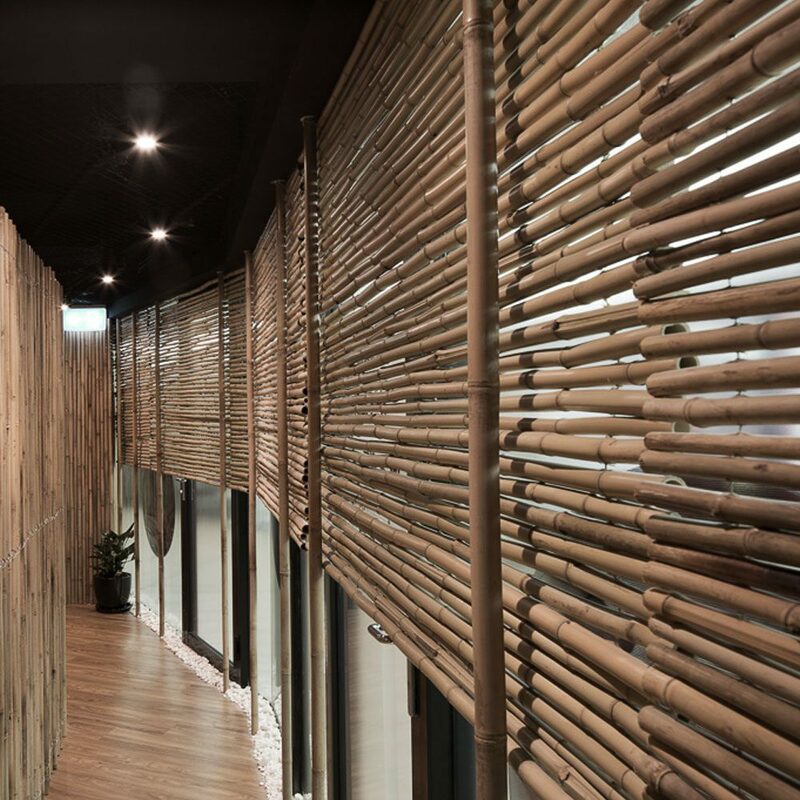 The extension of bamboo wall also divides the reception, preparation room and other functional service rooms. Step into the room is already like entering a bamboo forest.